Want a great space to entertain in? What are you doing to get ready for the entertaining season? Having people over for Christmas can be a great time for family to get together and enjoy the stories of the year that has past? Not everyone has a space at home that they feel great about sharing and wish it could look just that little bit more welcoming, inviting and special. Do you wish it could make your space look a little more polished, wish you knew some small easy ways to give your spaces that little bit of dazzle and shine? Join us on a fun, FREE and easy styling challenge Instagram 10 ways in 10 days to a styled space. Find out more about how the Free Instagram Challenge will work HERE! 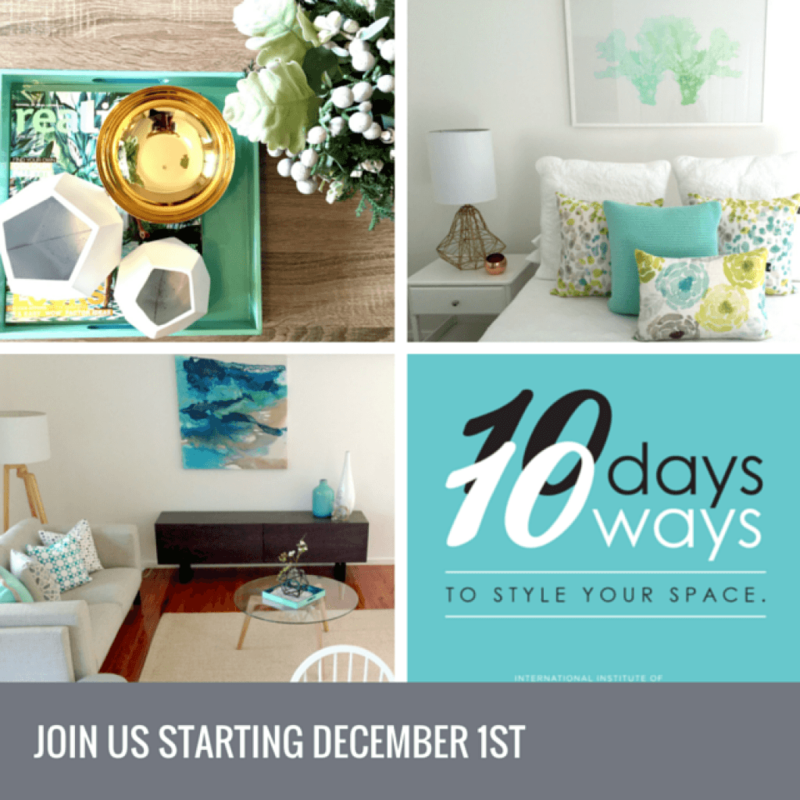 Its Free Fun and will take you that next step towards a great styled space for the entertaining season. Filed Under: IIHS Blog Tagged With: advice, colour, decorating, home styling, homewares, inspiration, Instagram, spring, styling, tips, want a great space to entertain in?